We are a full-service residential and commercial custom electronics design and integration company. Our smart home technology solutions make your home safe, elegant, fun and easy to use. Businesses experience increased productivity, enhanced environments for employees and customers, and simple control. Our team is comprised of world-class experts in every field whose number one priority is to provide the best products and services to our clients. 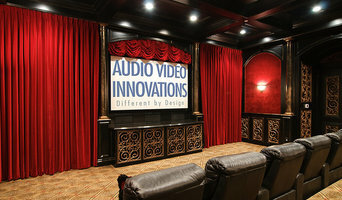 HD2020 is Tampa’s premier Home Entertainment and Home Automation specialists. Our staff has 115 years of combined experience in the audio/video industry committed to providing quality customer experiences from design through installation. Founded in 2006 by Chris Wilt, HD2020 was the first Premier Control4 dealer in the Tampa Bay area, and one of the oldest Control4 dealers in the country. 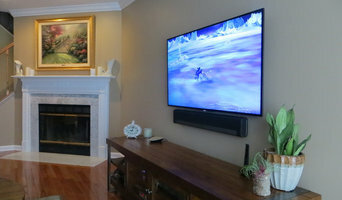 We created HD2020 so we could design home entertainment and automation solutions with our clients’ vision in mind. We listen to their wants and create customized experiences that are personal. At the end of the day we deliver simple, seamless integrations between lifestyle and electronics. American Automation is a Home Automation integrator; specializing in Smart Homes, Security Systems, Audio & Video Distribution, CCTV, Lighting Control, Shade Control, Energy Management, and Access Control services. We are family owned and operated company, celebrating our 27th year. Our Award Winning Design & Installation team will guide you through the entire process - from our first meeting together through to your final in-home training. Our personnel is full-time, factory-trained technicians who take pride in quality workmanship and keep abreast of the latest installation techniques. Whether you choose to access your home system through a touchpad in your home or through a mobile device from anywhere in the world, American Automation & Communications is here to give you total control. Central Coast Audio Visual caters to A-List clientele, working with world class Architects, Designers and Contractors to provide cutting edge Audio Visual and Automated System Integration. We specialize in Distributed Media, Controlled Lighting, Motorized Shades, and all areas of Home and Business Automation. BH Construction & Handyman Services offers quality home improvements, installations, and repairs in the North Dallas metroplex. This includes home renovations, handyman services, hardwood flooring installation, bathroom and kitchen remodeling, tile installation, baseboard and trim, accent walls, drywall repair, painting, light fixtures, fence repair and installation, carpentry, cabinetry, storage and organization. Basically, we are your one stop shop to help you address those tedious jobs around the house. Our business is built on honesty, transparency, reliability and outstanding workmanship. Customer satisfaction is our priority. We take pride in doing things right and with perfection. We will ask questions to find out everything about the job prior to scheduling your appointment. If a job is out of our scope of service, we will let you know up front and provide a professional recommendation, if possible. We are here to make your life easier doing what we love to do. Make us your one stop shop for your home repair needs. 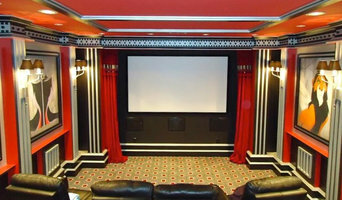 Michael Storch has over twenty years of experience in residential electronics and home theater installation. His comprehensive, detailed knowledge of every aspect of a project, from design to installation and service, gives him unmatched versatility and skill to provide systems that are SIMPLE, RELIABLE and FUN. Throughout his career, Michael has performed and directed projects that range from simple home theaters to the design, installation, and programming of complex integrated audio, video, network, telecommunications, lighting control, and remote control systems.